May was National Physical Fitness and Sports Month. Smart Circle challenged everyone to get 30 minutes of physical activity every day. However, why stop in May? Why not continue this throughout the year. That’s why we encourage you to keep it going! Did you know that regular physical activity increases your chances of living a longer, healthier life? It also reduces your risk for high blood pressure, heart disease, and some types of cancer. Even so, nearly 80% of adults in the US don’t get the recommended amount of physical activity. 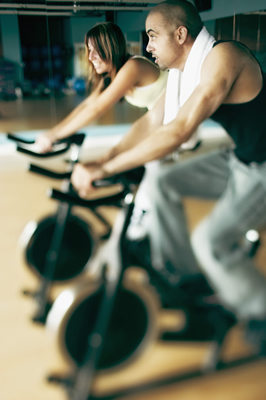 Aim for 2 hours and 30 minutes of moderate aerobic activity each week. Moderate activity includes things as fun and diverse as walking fast,dancing, swimming and raking leaves. Do muscle-strengthening activities – like lifting weights or using exercise bands – at least 2 days a week. We all know regular physical activity is good for our health, and people of all ages and body types should strive to be physically active. Children and adolescents Improves muscular fitness, and bone and heart health. Adults Lowers risk for heart disease, type 2 diabetes, and some types of cancer. Older adults Lowers the risk of falls and improves cognitive functioning (like learning and judgment skills). Whether you started your new physical regimen in May or you are just now getting started keep up the good work! A healthy life equals a happy life!